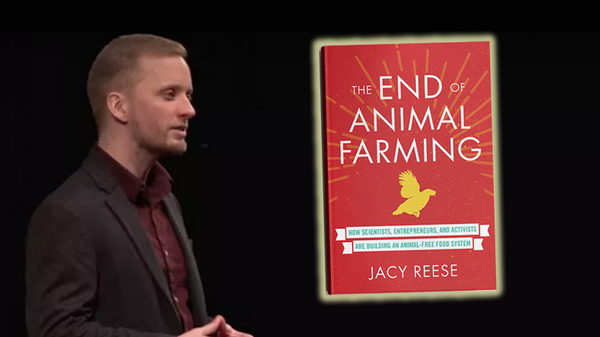 Twenty-six-year-old Jacy Reese is — or perhaps was — a rising star of the animal rights movement. His book, The End of Animal Farming, was blurbed by Steven Pinker. He has delivered a TedX talk, written for Vox and The Guardian and spoken in more than 20 countries, according to his website. He is co-founder and research director of the Sentience Institute, a think tank that is “dedicated to the expansion of humanity’s moral circle” and shaped by the principles of effective altruism. Then this: An 812-word statement, under the headline “Apology,” posted last week by Reese on the forum of the Centre for Effective Altruism, the global hub of the effective altruism movement. His apology doesn’t get more specific, in part because the allegations against him were made anonymously and details have not been shared. So what, exactly, did Jacy Reese do wrong? That, alas, is hard to know. This is a problem not just for Reese, but for the #metoo movement, for effective altruism and especially for the farmed animal movement. Animal activism is just now emerging from a horrible year, marked by revelations that several of its prominent leaders, notably Wayne Pacelle, the former president of the Humane Society of the US, had engaged in sexual harassment. Pacelle was credibly accused of verbally and physically hitting on women who worked for him, actions that cost him his job. In the case of Jacy Reese, as best I can tell — which is not very well at all — he is being accused by a number of women of “insistent or clumsy flirting,” most of it online, via text or Facebook message. “My approach to expressing romantic or sexual interest has always been forward and direct,” he writes. This kind of behavior falls into the category of “unwanted sexual advances,” a phrase that has puzzled me: How is anyone to know, in advance, if an advance is unwanted? This has been a particular challenge for Reese. “He’s a bit socially awkward and can’t read clues,” says a colleague in the animal-advocacy world, who has seen screen grabs of lewd text messages that he sent to women, even after they showed no interest. He has been warned by friends that his behavior was not only putting his reputation at risk, but that it could set back causes that he cares about. (He disputes this.) Some women have avoided EA and animal advocacy events when they knew he would be present. “He was given chances to do the right thing before now and chose not to,” one EA activist told me. Indeed, Reese’s public apology came only after the Centre for Effective Altruism approached him “after receiving reports from several parties about concerns over several time periods,” the organization says. The CEA described the reports as “credible and concerning.” It severed its ties with Reese — the centre had previously been a fiscal sponsor of the Sentience Institute — and told him he was no longer welcome at its events. That sounds serious. And yet Reese and Kelly Witwicki, the co-founder of the Sentience Institute, want his apology to close the matter. In an email, Witwicki told me that when the allegations first came to his attention, he promised not to come on to “anyone employed in the animal advocacy movement.” (A curious pledge — are volunteers fair game?) Here it must be noted that Reese and Witwicki are partners in life as well as advocacy — he proposed to her last year, in the most romantic fashion, by reading her a passage from his book while on a rowboat in Central Park. They are also polyamorous. The full texts of Witwicki’s emails to me are here. There’s more to this story — quite a bit more — but before unraveling it, let’s recognize that what we have here is a clash of values that’s not easy to resolve. Seeking to create safer workplaces for women, the #metoo movement urges women to speak out about their concerns, anonymously if necessary; confidentiality is important because women should not be subject to retaliation if they have been harassed by powerful men. But, given the stakes, men deserve to know who is accusing them and, at minimum, what, exactly, they are said to have done. That isn’t a dodgy excuse for the patriarchy — it’s a matter of fairness. Then there’s the importance of transparency. Only with more clarity and openness can colleagues, allies and donors make informed judgments about who they want to work with or support. Without transparency, there’s no accountability. That’s why the conclusion of the sexual-harassment scandal at the Humane Society was so unsatisfying. This is equally unsatisfying. Some people credit Reese for making a public apology, albeit under pressure. Julia Wise, a respected effective altruist and a community liaison at CEA, told me by email that reporting this story would be counterproductive: “I respect the decision (Jacy) has made to step back from EA generally. I think he responded appropriately, and I don’t want to dis-incentivize that.” Others, though, worry that letting things lie allows Reese and Witwicki to spin the story and minimize the wrongdoing. Reese’s history complicates matters further. During his sophomore year at Brown, Reese, who then went by his full name, was expelled from the university after being accused of sexual misconduct. The specifics, again, are unknown, but he denied wrongdoing, portraying himself as the victim of a witch hunt. In a letter to the Brown Daily Herald, Reese argued that students accused of harassment deserve more due process. “My career at Brown has been destroyed by these false accusations,” he wrote. Commensurate consequences and reform procedures, escalating as necessary to expulsion, are critical. The perpetrator is not so much more important than the greater number of people they are driving away, [emphasis added] the risk of a lawsuit to the organization protecting them, or the risk they bring to the community’s reputation, that such actions should be protected. “No tolerance” is an important policy for preventing and responding to misconduct, in the sense that every issue will be addressed. But no tolerance doesn’t require a “heavy handed” approach — to the contrary, I think it’s critical for the heaviness of our responses to be commensurate with the severity of an action and to escalate progressively with failures to participate in restorative processes. Small transgressions, for instance, should be “called in” so the person who made the apparent mistake has the opportunity to defend themselves if necessary, or to rectify their mistake and improve. If someone has committed a transgression, we want them to seek understanding, and if they do come to understand, apologize, and demonstrate a credible intention to improve, they should be given the chance to carry forward as a better community member, if possible depending on the severity of their action. We can speculate that she was writing this with her fiancee in mind, but it is nevertheless a point well taken. It would be a shame if these accusations do serious or long-term damage to Jacy Reese’s career, presuming that he has — finally — learned to treat women with respect. The Sentience Institute, which researches the best ways to effectively advocate for animals, is a promising newcomer to the animal advocacy movement; it’s deserving of support, with or without him. 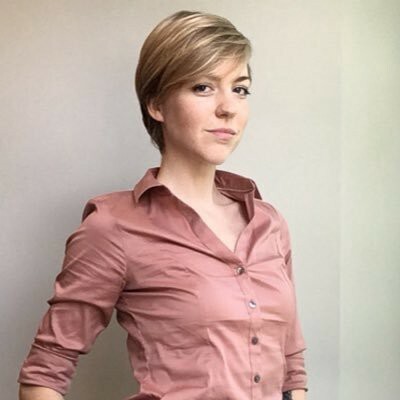 Regarding “cofounder,” there were many people involved in the beginnings of the effective altruism community, including people at Giving What We Can, GiveWell, and in online internet forums like LessWrong and Felicifia. I was involved in many early discussions and early strategizing for the community (before and after it settled on the name “effective altruism”). I volunteered with Giving What We Can and helped run the first effective altruism student network called THINK. However, my impression is that most of us, including me, have some discomfort with the term “cofounder,” given it’s a diffuse community rather than an organization or company. Fortunately, this story has gone on long enough — because now I’m at a loss for words. For more on Jacy and Kelly’s perspective, please read Kelly Witwicki’s responses to my questions and to this story.